To compete in business today, you rely heavily on technology. Your desktops, laptops, server and network are vital for key business functions. But for most small and medium-sized businesses (SMBs), trying to manage an IT infrastructure and handle IT support in-house is not just a challenge – it’s incredibly expensive. The Genesys Consulting Group offers an affordable, all-inclusive solution: A Manhattan-based team of knowledgeable and highly-skilled business IT support professionals who can handle your tech support issues for one low rate. With modern IT needs – not to mention the hardware and software necessary to keep your business growing – it’s no longer possible for one person to manage and maintain all your software, hardware and tech support. The Genesys Consulting Group can provide you with the on-demand business IT support and service you need to keep your business running properly. 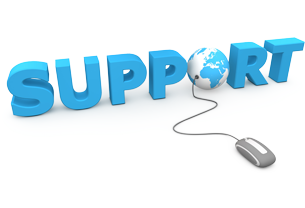 Plus, in most cases, our expert engineers and tech support technicians can work with you over the phone and Internet to solve problems. If the need arises, we’ll send one of our helpful and friendly Manhattan experts to your business to deal with the complication, find a solution and get you back on track. Call The Genesys Consulting Group now to learn more about getting the Manhattan business IT support you need.